One Saturday morning in mid-January, Room 300 in Pettigrew Hall was a different story. 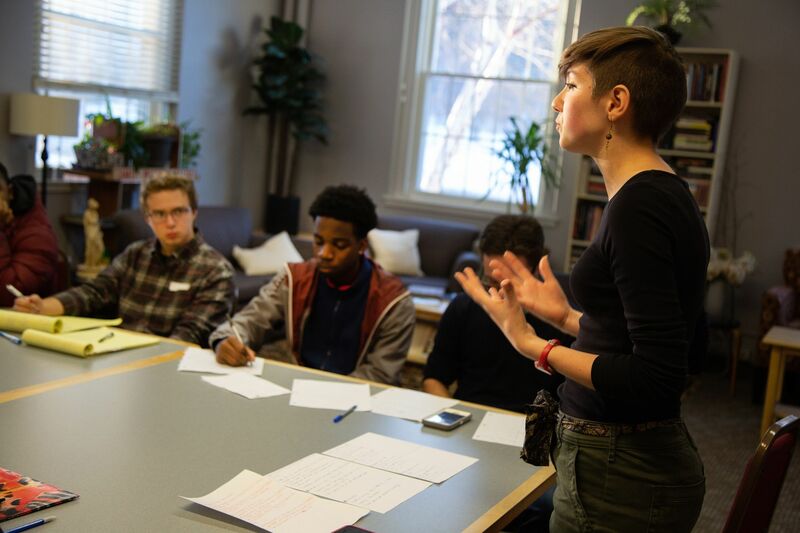 A whirl of activity descended upon the classroom as members of the college’s Brooks Quimby Debate Council led a workshop for students from Match High School, a public charter school in Boston. The 20 or so high school juniors, having sacrificed their Saturday morning sleep-ins, leaned forward in their desks and listened intently as the Bates debaters explained the workings of British parliamentary debate, where topics are announced 15 minutes before the debate begins and where four teams participate, two supporting the proposition (Government) and two opposing (Opposition). “Let’s unpack this deeper,” said Jacob Nishimura ’21 of Mill Valley, Calif., to a small group of students. “What about Batman makes the police not want to do their job?” The high schoolers around him pondered the logic of the question, offering their opinions on the superhero and his impact on city security. 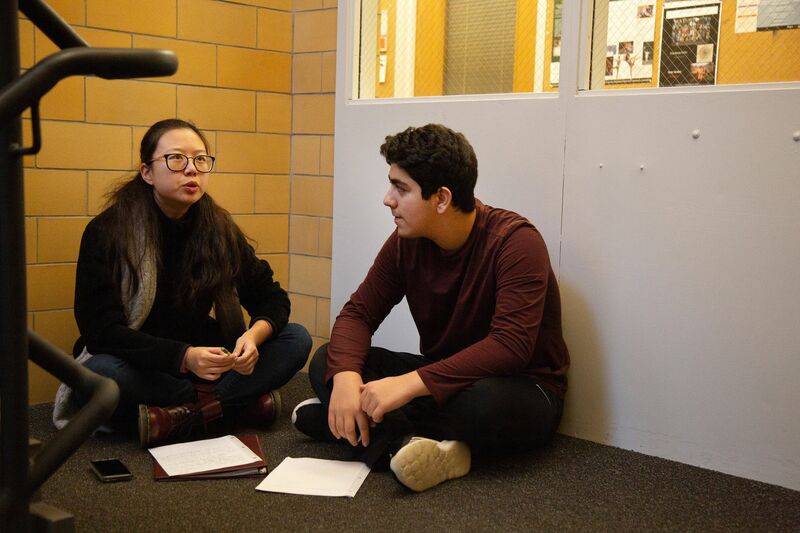 What a way to encounter a college: Instead of walking around the campus on a traditional tour, the high schoolers spent the day immersed in one of Bates’ most esteemed extracurriculars, the club that defined the college experience of their teacher, Andrew Jarboe ’05. All through the morning session, Jarboe walked in and out of the classroom, taking care to check on his students while also giving them the space to debate outside of his direct supervision. 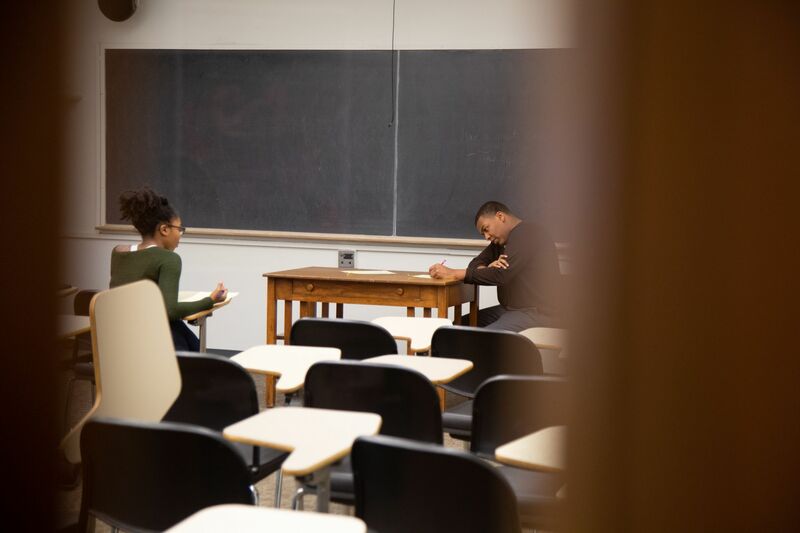 Periodically, he glanced at the trophies and plaques that decorated the classroom — which doubles as the debate team’s practice room — a complement to the impressive trophy case lining the first-floor entrance to Pettigrew. That case, said Jarboe, originally drew him to Bates. 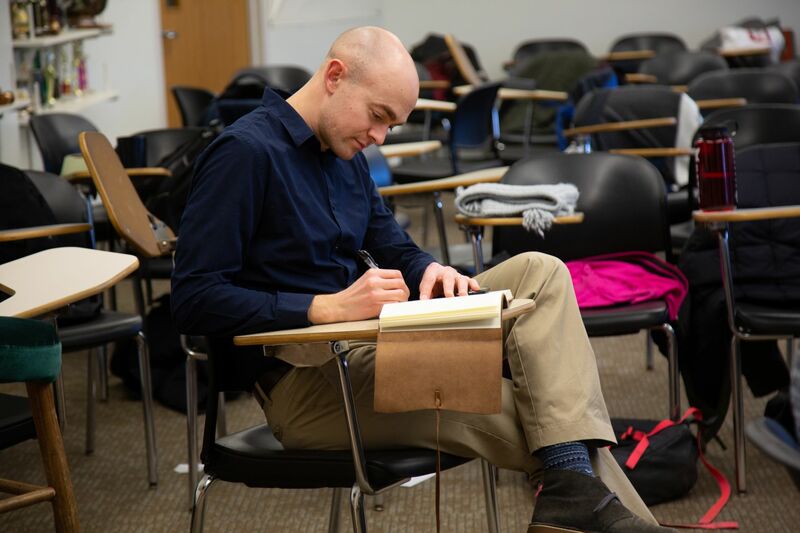 A Phi Beta Kappa history major at Bates, Jarboe got his teaching start with Teach for America, later earning a doctorate in history from Northeastern University. In addition to his Match teaching position, Jarboe holds a faculty appointment at the Berklee College of Music. His passion for Bates debate hasn’t waned since he graduated. He’s held similar workshops at Bates previously, but this was the first time he introduced students old enough to have college on their minds to Bates. A few days before their trip to Bates, Jarboe told his students that instead of just walking around campus, they were going to learn how to debate with college students. “They had a mini freak-out,” he says. Freak-out aside, the high schoolers picked up debate skills quickly, working one-on-one with Batesies who were complete strangers to them just hours before. One young woman mentioned how much she liked being able to actually interact with college students. The feeling was mutual. 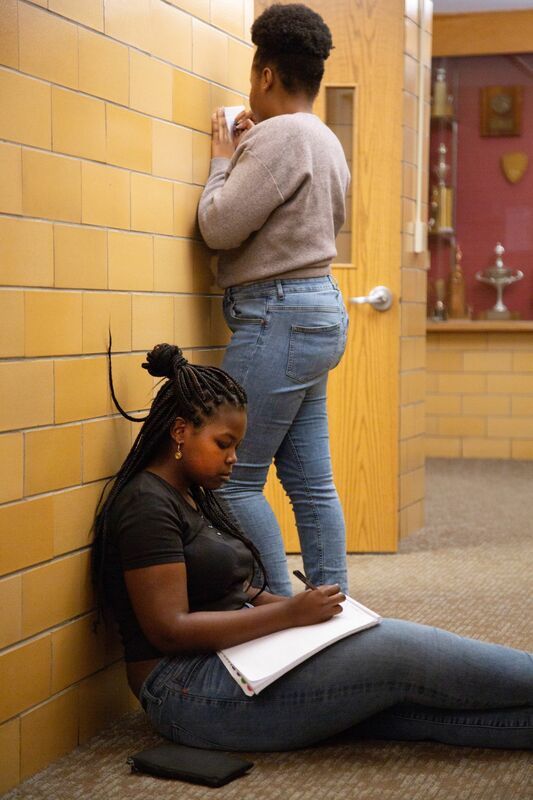 As director of novice affairs for Quimby, he’s experienced at teaching first-years the ropes, but this was his first time working with high schoolers. Meadows was tasked with teaching the Match students how to develop their arguments in the morning, using the Batman resolution as an example. Following that exercise, Meadows, assisted by his fellow team members, covered the basics of points of information, which allow opposing team members to interrupt the speaker with a question. These instructions came in handy after a noon break complete with stacks of pizza. 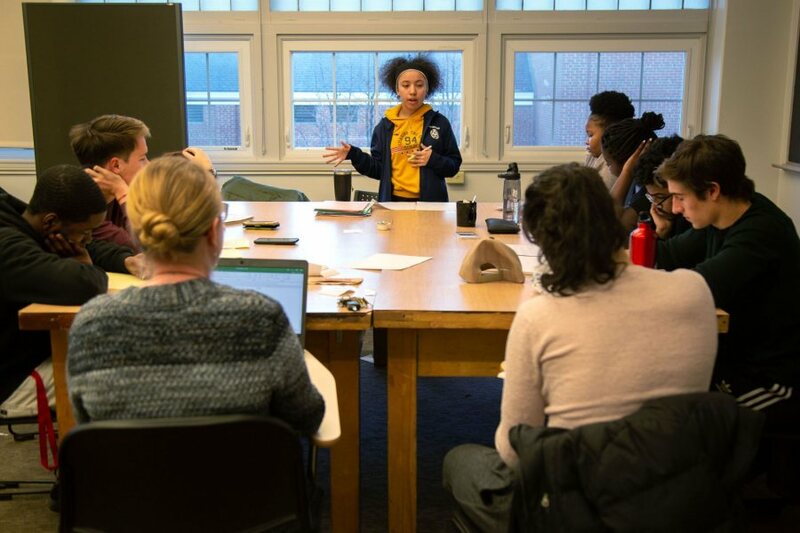 In the afternoon, the Match students, partnered with Bates debaters, participated in their own mock debates where they had to argue for or against editing fetal DNA. So why the workshop? Jarboe explained that not only was it a great way for the students to get a feel for a small liberal arts college, but that it’s also the first step in a plan he has to establish a debate team back home at Match — and eventually a league for Boston-area charter schools. Jarboe hopes that his students will be inspired by their experience at Bates and bring some of their newfound skills in argumentation back home. “Debate itself is such a wonderful preparation for so many things in life,” he said after his students regrouped that afternoon.